Coastal GasLink Pipeline LTD has applied for an injunction and served us with notice for a civil lawsuit, seeking to kick us off our lands and to bankrupt us. They are seeking an “interim, interlocutory or permanent injunction” and financial damages for “occupying, obstructing, blocking, physically impeding or delaying access” to our own unceded territory. Instead of naming the Unist’ot’en and our chiefs, who collectively hold title and govern Unist’ot’en territory according to our Wet’suwet’en law, the applications personally name Freda Huson and Warner Naziel (Chief Smogelgem). We see this as an attempt to demobilize our resistance and bulldoze through our home. 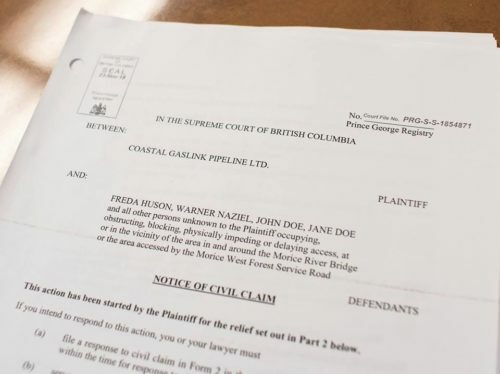 These legal challenges ignore the jurisdiction and authority of our hereditary chiefs and our feast system of governance, which was recognized in the 1997 Deglamuukw-Gisday’wa court case. 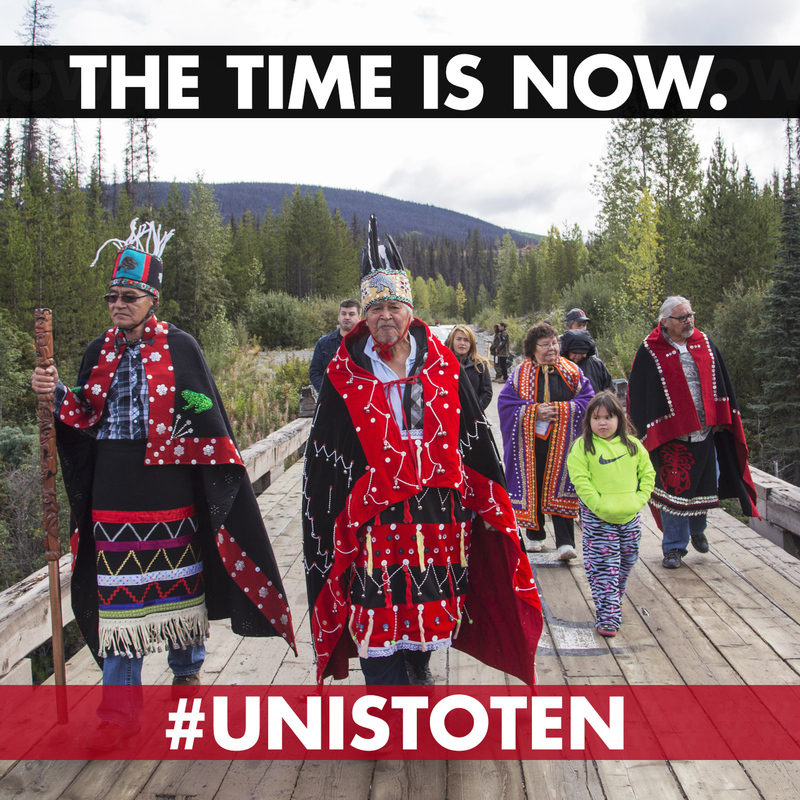 All Wet’suwet’en Clans have rejected the Coastal GasLink pipeline and stand behind us. We are weighing our options for a response to this threat. We were served with this notice at Smogelgem’s mothers house in Witset, while we are attending to her at in-home palliative care. Please share widely, and donate as our legal costs will be mounting.